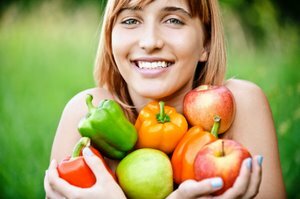 Get the most out of your raw food diet weight loss journey by checking out these efficiency tips. Eating raw food for weight loss can be an excellent way to discard pounds steadily and safely. However, if you are carrying a lot of excess weight from years of overeating or from sustaining yourself on a diet of empty junk food, there are a few things that you should know. Through a raw food diet, your body will naturally begin to deeply cleanse itself and discard old toxins and reserves. This helps you effortlessly shed some unneeded pounds. Keep in mind that there are many fringe benefits to raw food diet weight loss. This includes dramatically increased energy and vitality and a sense of connection and well-being that you may not have felt in years. Eating a raw diet for weight loss is a great way to lose heaviness because most of the foods that you will be eating will be low in calories. This means that you can still consume a significant quantity of food without packing on the pounds. We tend to binge and overeat when we feel like we our depriving ourselves or if we feel like our stomachs are empty. On a conscientious raw food diet, you can literally eat delicious foods around the clock and still lose weight. Snacks that feel “heavy” in your stomach, therefore making you feel like you have had enough to eat, help you to feel satisfied. To start your day off right, or to give yourself a pick-me-up, make yourself a creamy fruit smoothie. Make a filling dip that you can enjoy with freshly chopped veggies. Blend or mash soaked garbanzo beans, a little oil, and a splash of lemon juice. This makes a tangy and satisfying snack combined with with tomato wedges, carrot sticks or celery. A platter stacked full of vegetables with a tasty dip full of flavour sure beats the two diet cookies that you may be allotted on a different weight loss plan! When your blood sugar runs low, this can trigger intense cravings that tempt you to reach for some sort of processed junk food to give your body a quick fix. A good raw food diet weight loss tip is to reach for piece of fruit when you feel a hankering for unhealthy food. Fruits contain simple sugars that can divert your body’s attention from temptation! Feel free to snack on as many fruits as you would like, and you will maintain a steady, healthy blood sugar level throughout the day, making you less likely to reach for not-so-healthy alternatives. Mix it up so that you don’t become bored or feel like you are in a rut. Try fruits that you may never have tasted before, or make combinations of fruit salad that are pleasing to your eye. Fruits that have a high water content, such as melons, can be eaten in a large quantity while still keeping you calorie intake very low. Fruits such as bananas or mangos sit heavier in your stomach and can make you feel full for longer periods of time. Fruits serve other important functions that support your raw diet and weight loss goals. Not only are they naturally low in calories, but they tend to have a high water content which helps you to feel full. They contain a lot of fiber helping your body to rid itself of old, accumulated toxins in your digestive system. Just as a plant will not flourish and will not be able to take in nutrients if its soil pH is off by a little bit, your body is also affected by changes in pH. If your body is even the slightest bit too acidic, you will lose the ability to absorb nutrients and signals to your digestive system go haywire. The enzymes crucial for efficient digestion only function well at specific pH levels. By eating foods that bring your body to a more ideal alkaline state, you will get more out of your food intake, in terms of protein, nutrients, and minerals, and your body will receive clear signals that it is satisfied. A balanced body has an innate ability to regulate itself, to know when it is necessary to eat and when to give itself a break from food to catch up on digestion. To bring your body into alignment, make sure to include into your diet alkalizing foods such as all sorts of greens, including kale, spinach, parsley, wheatgrass, seaweeds, and also mushrooms and sprouts of any kind. Sprinkling Himalayan or other high quality sea salt into your food can also help decrease acidity. Most fruits are basically neutral, but nuts, seeds, and grains can be acid forming so should be consumed with this awareness. One of the best tricks to eating a raw food diet for weight loss is to be prepared. If you’re prepared you can avoid impulsively caving in to junk food or overeating when hunger strikes. Keep easy, ready-to-go snacks within reach, and plan ahead if you are going to be at the office or in the car for an extended period of time. If you are two hours away from home, starving, and your only food options are fast food chains, you may find yourself ingesting things you would normally never choose to otherwise. Great snacks are veggie sushi rolls, with some soaked brown rice, sesame, carrot and ginger. They are easy to take on the go and curb hunger quickly. Dehydrated seed crackers with raw goat cheese drizzled with a little honey makes a delicious midday treat and can be carried in Tupperware, and give your body both a blood sugar and protein boost. If you know that your body usually craves salty foods, keep some black olives on hand, and if you tend to crave sweets, try a small wedge of slightly sweetened cacao or carob. One of the most important things on a journey to lose weight is to realise that eating raw food is more of a lifestyle change than a diet. It involves raising your consciousness about what you choose to nourish your body with and feeling a connection to both your body and the food that you eat.